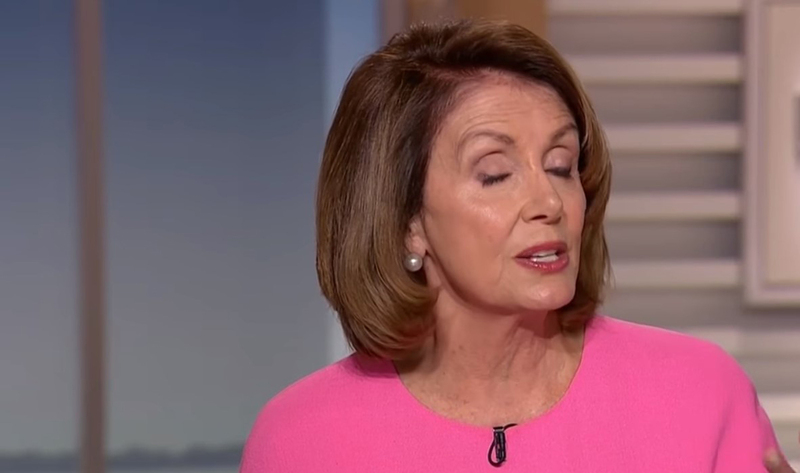 For months, Nancy Pelosi told Democrats she planned to wait for Robert Mueller’s final report before starting impeachment proceedings. Now the Speaker of the House is left scrambling. That’s because Mueller was caught in a lie that turned Pelosi’s plans upside down. CNN recently reported that Robert Mueller was set to turn in his final report this week. That meant Mueller’s rigged witch hunt was over. Which also meant the end of indictments. Above all, it meant Mueller would finally have to put up or shut up on the issue of Russian collusion. That sent the left into a panic. So-called “journalists,” pundits, and elected Democrats threw themselves into total damage control mode. Mueller did not indict one person for conspiring with Russia to rig the election. So if Mueller and his gang of angry Democrat prosecutors are wrapping things up, it means the collusion narrative was a hoax. But Democrats and alleged “reporters” are not ready to give up on that narrative. That’s why the panic and damage control in the fake news media kicked into overdrive. Journalists and pundits began “reporting” that Mueller’s report would be anti-climactic. Democrat Adam Schiff – one of the leading proponents of the collusion hoax – worked to move the goalposts by claiming Mueller had found evidence of collusion, but just not enough to win a conviction in court. “You can see evidence in plain sight on the issue of collusion, pretty compelling evidence. Now, there’s a difference between seeing evidence of collusion and being able to prove a criminal conspiracy beyond a reasonable doubt,” Schiff claimed in an interview on CNN’s State of the Union. This was their way of preparing their liberal audience for the letdown that Mueller found no evidence of Russian collusion. However, the anti-Trump forces in “official Washington”—as well as in the fake news media—knew that wouldn’t fly. They’ve invested so much airtime and newspaper ink in promoting the conspiracy theory that Donald Trump engaged in treasonous collusion with Russia that they couldn’t just quietly change the subject and hope no one noticed. So it was no coincidence that word leaked out that Mueller and his pack of Democrat pit bulls would not turn in a final report this week. This delay was a godsend for Mueller’s allies in the fake news media. It allows them to continue to play the parlor game that the special counsel holds secret evidence in reserve that would prove the President is a traitor. But fair-minded Americans see through this charade. They can see that in all of Mueller’s court filings – which actually constitute his report – he never alleged any Trump campaign official colluded with the Russians. Instead of buying Mueller time, the stop and start announcement that the special counsel would file a report has ended up exhausting whatever patience the public had left. Now an increasing number of Americans are calling for Mueller to just close-up shop already and make it clear what everyone knows he didn’t find. We will keep you up to date on any new development in this ongoing process.